This means having a root canal treatment or removal of the tooth. The operculum can be cleaned and treated with chemical but ultimately the tooth usually needs to be removed. This needs a proper assessment usually with an OPG x-ray and in some cases a CT scan. If possible, alter medication, to one that has a reduce effect on the salivary glands. Saliva protects the mouth and teeth. It also aids in swallowing and aids in digestion. Take Biotene dry mouth solution as a lubricant. It does not replace all the properties of saliva. Avoid sticky sweet foods and acidic drinks. This diet, with a dry mouth, greatly increases the risk of decay, especially on any exposed root surfaces. Avoid mouth washes as they usually contain alcohol, which is an irritant to the mouth. A mouth wash, itself, does not stay in the mouth long enough to effectively kill enough bacteria on the teeth. Cleaning of the teeth removes bacteria much more effectively due to its prolonged contact with the bacteria. Pay close attention to cleaning of your teeth. Flossing of crowded teeth is very important as the mouth is less likely to “self- clean”. The washing action of saliva can’t remove the debris between the teeth. 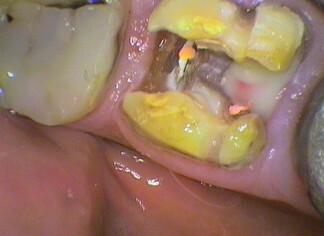 This leads to a higher incidence of decay and gum problems. Use orthodontics to straighten teeth. 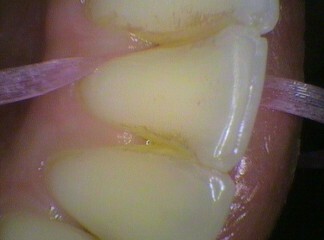 Remove any impacted teeth that are unable to be cleaned properly. 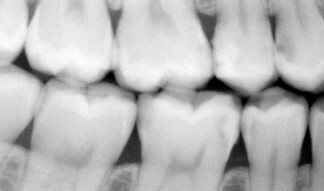 Regular dental assessments, including x-rays to detect early decay and gum problems. Regular fluoride treatment to prevent decay. Regularly clean the surface of the tongue. Reduce the amount of carbohydrates in the diet. Take antifungal medication with any antibiotic treatment. Antibiotics kill bacteria, which competes with fungus for survival in the mouth. If there are fewer bacteria then there may an overgrowth of fungal organisms. 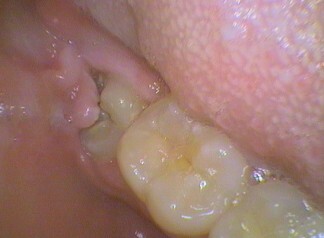 If there is an overgrowth then treatment usually with lozenges dissolved in the mouth is required. This needs to assessed and prescribed by the dentist or doctor. Smoking – Smoking causes a dry mouth, affects the gums by reducing blood flow and causes its own odours. STOP SMOKING. I know, easier said than done! Seek medical advice. Regular cleans to remove stains and to reduce the incidence of gum problems and decay. Regular examinations of the tongue, floor of mouth, cheek, palate and lips to detect changes that may lead to cancer.